Chinese teen Li Yinhui was the star of second round proceedings at the Thaihot China Open 2016 today, featuring in two upsets. 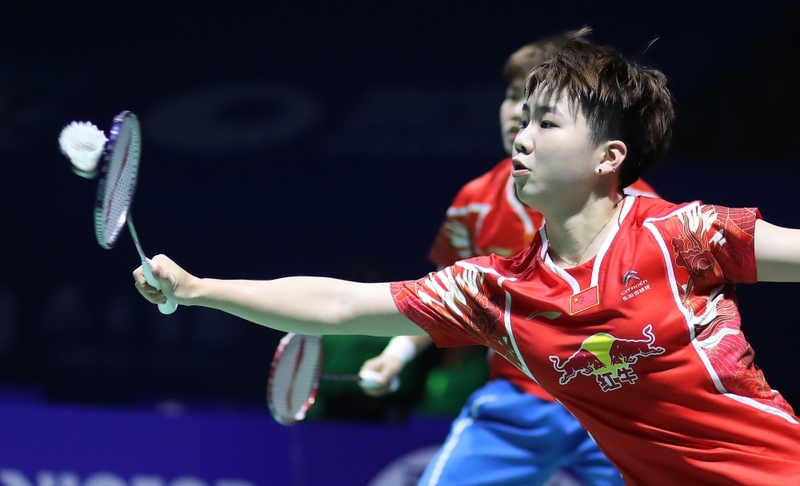 Li and Huang Dongping ruined the day for Women’s Doubles top seeds Misaki Matsutomo and Ayaka Takahashi, who were seeking their fifth World Superseries title this year. 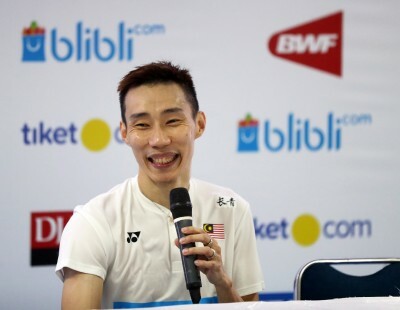 Li then teamed up with Zhang Nan in Mixed Doubles and the new pairing proved too good for Olympic silver medallists Chan Peng Soon/Goh Liu Ying. 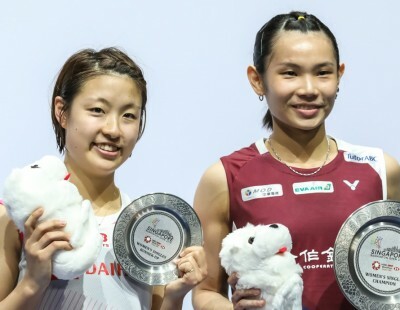 The Chinese duo’s upset of Matsutomo and Takahashi was particularly significant for the home team, for the Japanese were the biggest threats to China’s uninterrupted reign in Women’s Doubles stretching back 15 years. The Japanese put behind a contentious line call at the end of the second game and shot ahead to a comfortable lead in the decider, keeping a distance from their challengers. 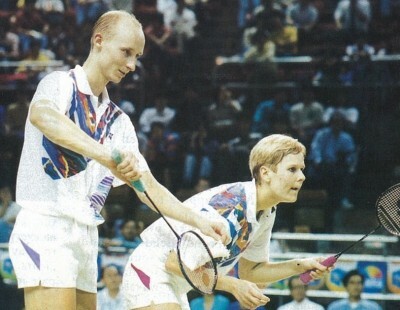 Huang and Li, however, proved feisty and refused to buckle despite trailing at the death, 15-19. 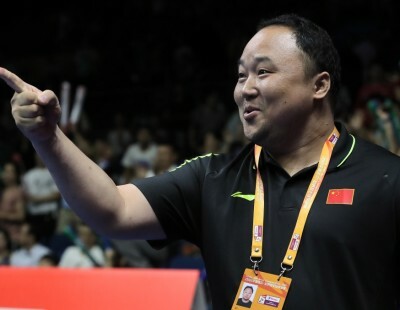 Powered by Huang’s energetic play at the back and Li’s sharpness at the front, the Chinese levelled, saved one match point, and sealed their quarter-final place at the first opportunity: 14-21 22-20 22-20. Denmark’s Christinna Pedersen/Kamilla Rytter Juhl, another pair that the Chinese will be wary of, made the quarter-finals after overcoming trouble from Indonesia’s Anggia Shitta Awanda/Mahadewi Istirani Ni Ketut, 21-17 17-21 21-15. “It was important for us to keep the energy high,” said Rytter Juhl. “It was too low in the second and start of the third. We were down 3-7. Christinna said we need to have more energy. It worked out quite well. That was a good comeback. 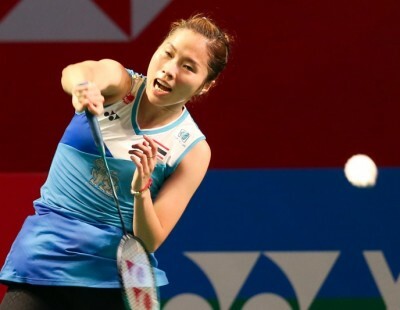 Luo Ying/Luo Yu were the second Chinese pair left in the quarter-finals after they beat Indonesia’s Della Destiara Haris/Rosyita Eka Putri Sari, 21-18 21-13. In the same half, Jung Kyung Eun/Shin Seung Chan and Chang Ye Na/Lee So Hee ensured an all-Korea quarter-final. Zhang Nan and Li Yinhui took 50 minutes to power past third seeds Chan/Goh 21-17 21-19, setting up an all-Chinese quarter-final against in-form compatriots Zheng Siwei/Chen Qingchen. 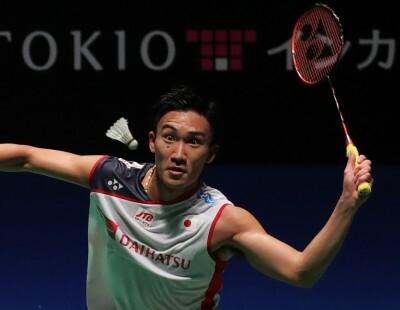 Another seeded pair that crashed out was England’s Chris Adcock/Gabrielle Adcock, to Japan’s Yuta Watanabe/Arisa Higashino (featured image), 21-15 21-12. 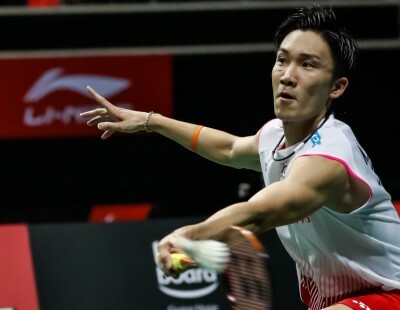 The Japanese take on top seeds Ko Sung Hyun/Kim Ha Na, who emerged victorious after a tight battle against Thailand’s Nipitphon Phuangphuapet/Jongkolphan Kititharakul, 18-21 21-15 21-19. Players from seven nations booked their places in the last eight in Women’s Singles. Olympic champion Carolina Marin (Spain) eased past Japan’s Sayaka Sato, 21-13 21-12, and will take on Chinese Taipei’s Tai Tzu Ying. The Spaniard enjoys a 4-1 career record over Tai. 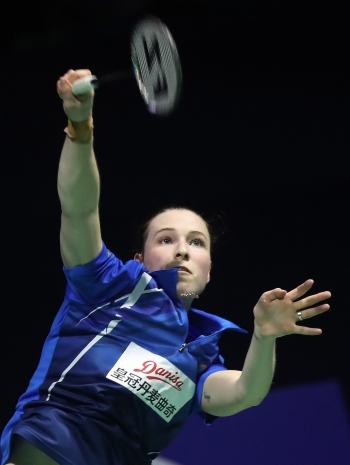 Denmark’s Line Kjaersfeldt also enjoyed a straight-games victory, over Hong Kong’s Yip Pui Yin, and faces local hope Sun Yu, who put out World Junior champion Chen Yufei 21-12 21-18. The lower half will see India’s PV Sindhu against China’s He Bingjiao and Korea’s Sung Ji Hyun against Japan’s Akane Yamaguchi. Sindhu found herself in a tight battle with recent Yonex French Open runner-up Beiwen Zhang (USA). The Indian was forced into long exchanges in which Zhang revelled, and for the most part, it was an even contest until Sindhu broke away after the mid-game interval in the third. Men’s Doubles saw an absolute cracker of a contest between Japan’s Takeshi Kamura/Keigo Sonoda and China’s Huang Kaixiang/Wang Yilyu. After what must count as one of the closest-ever games in badminton – neither pair had more than a point lead from the start to 25-all in the third, the Japanese finally edged past the Chinese: 21-16 20-22 27-25. The Japanese face Denmark’s Mathias Boe/Carsten Mogensen next. 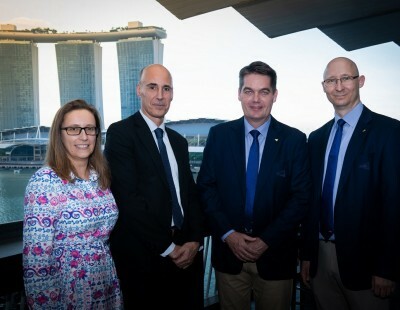 Denmark had a good day, with Mads Conrad-Petersen/Mads Pieler Kolding and Kim Astrup/Anders Skaarup Rasmussen joining Boe/Mogensen in the last-eight. Indonesia’s Kevin Sanjaya Sukamuljo/Marcus Fernaldi Gideon put out Olympic bronze medallists Chris Langridge/Marcus Ellis in straight games. Iskandar Zulkarnain saved three match points against local hope Guo Kai, making the quarter-finals with a 7-21 21-6 23-21 result. Up next for the Malaysian is Victor Korea Open champion Qiao Bin, who turned in a power-packed performance against India’s HS Prannoy. 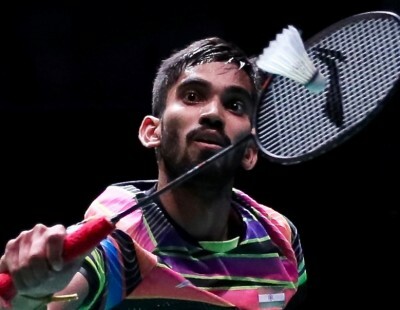 Prannoy’s compatriot Ajay Jayaram recovered from a close first game loss to Hong Kong’s Wei Nan and prevailed 20-22 21-19 21-12; his reward being a quarter-final against Olympic champion Chen Long. Other quarter-finals will see Denmark’s Viktor Axelsen against Japan’s Takuma Ueda and Jan O Jorgensen (Denmark) against China’s Tian Houwei.